The last couple of months I have been kind of obsessed with researching the Ahlstrand branch of my family tree. I found some of the family members a couple of years ago, but when my third cousin Julie found me in January 2005, my interest in the Ahlstrand family grew because just like me she was very interested in searching for the members of the family and also wanted to know what happened to everyone. 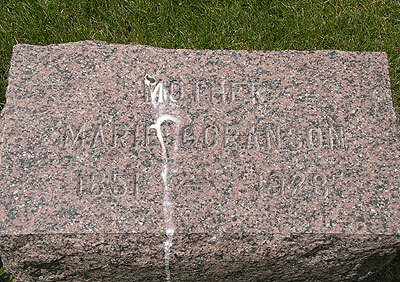 Janne and I just spent a couple of very nice days with Julie and her husband Kurt in Forest Lake outside Chicago and one of the days Julie and her dad Vernon (my mom’s second cousin) took us to Skokie Memorial Park to look at graves. 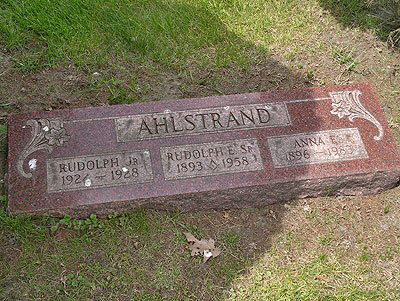 This is the grave of Rudolph Ahlstrand (my grandfathers cousin), his wife Anna Elvira Ahlstrand (maiden name Rahm) and their first born son Rudolph Ahlstrand who died as a young boy from pneumonia. Rudolph’s father Carl Ahlstrand had three children in his first marriage to Ida Josefina Petersdotter and all three (Elin, Rudolph and Ruth) are buried here at the same cemetery. This is Rudolph’s sister Ruth together with her husband Otto Carlson. 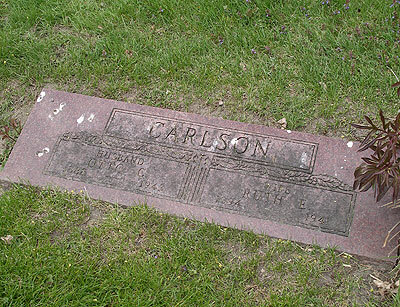 The firstborn child in Carl’s first marriage was Elin, here is her grave. 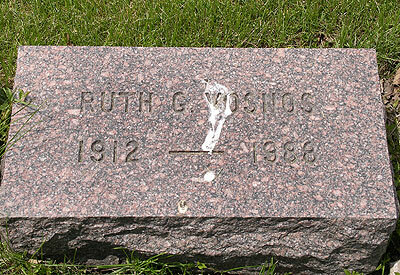 She died very young, only 31 years old, with two small children, Ruth and Maurice. 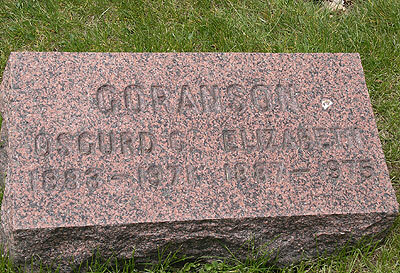 This is Elin’s husband Osgurd (1883-1971)together with his second wife Elizabeth (1887-1975). Osgurd was an artist and there are paintings made by him, but then he used the name A. Goranson. Here is Elin’s daughter Ruth Vosnos (1912-1988). 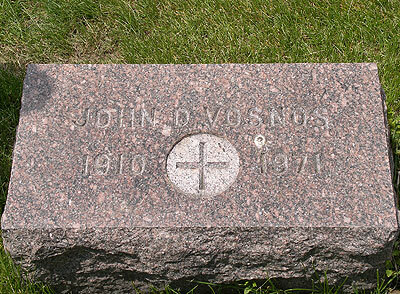 And this is John Vosnos (1910-1971) who Ruth married. 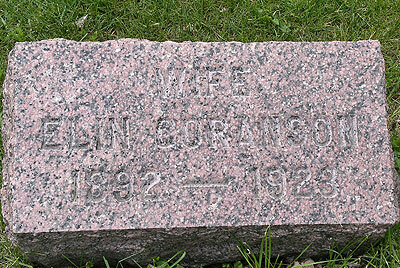 Marie Goranson (1851-1923) is probably Elin Ahlstrand’s mother-in-law. 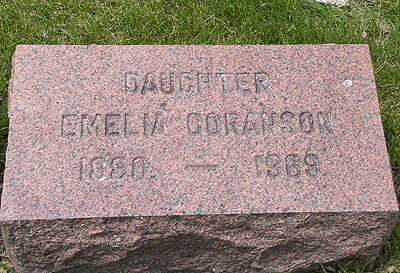 And Emilia (1880-1969) is probably Elin’s sister-in-law and Osgurds sister.